Dovetailing Tip: Save any leftover roasted vegetables to use in Bubble and Squeak on Day 4. 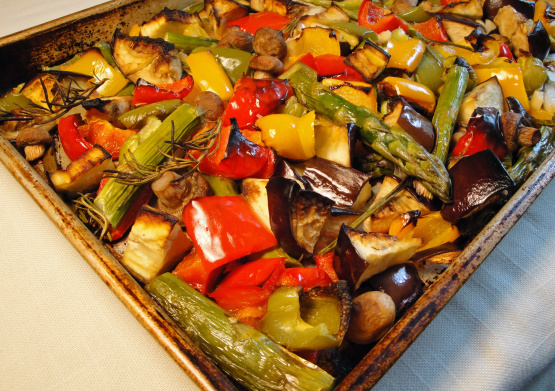 Put veggies into open roasting pan. Toss with rosemary, chopped garlic, salt and fresh ground black pepper and just enough olive oil to coat. Roast for about 45 minutes, or until crisp tender.